On the morning of December 7, 1941, U.S. naval vessels and aircraft on patrol outside Pearl Harbor spotted a partially-submerged submarine trying to enter the harbor. Ninety minutes before Pearl Harbor was bombed by air, the destroyer USS Ward fired on the sub, sinking it. 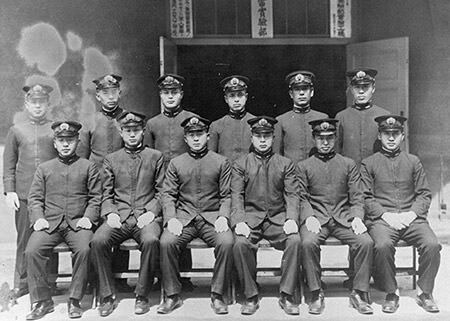 The event marks the first U.S. shots fired and the country's entry into World War II in the Pacific. 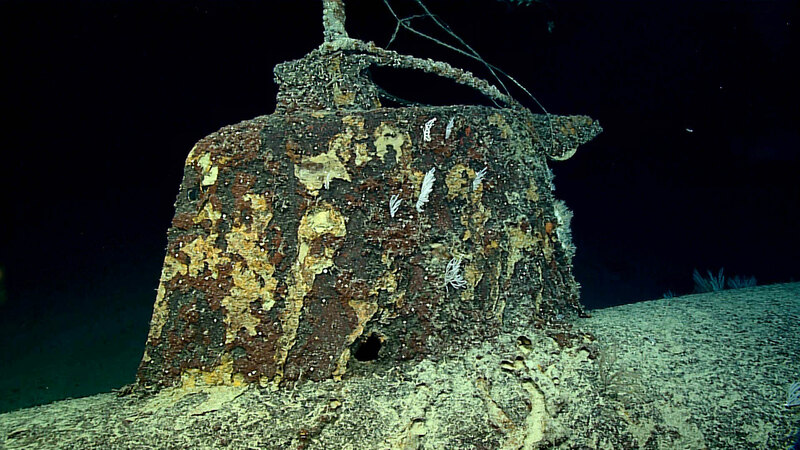 On December 7, 75 years after the attack on Pearl Harbor, the public will have its first-ever opportunity to view a live dive on two Japanese mini submarines, the first of which was sunk by the USS Ward prior to the attack. 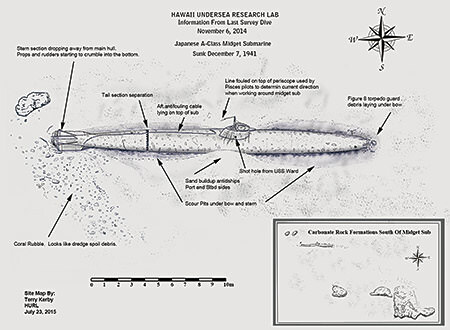 The expedition is coordinated by maritime archaeologists and scientists with NOAA's Office of Ocean Exploration and Research and NOAA's Office of National Marine Sanctuaries. 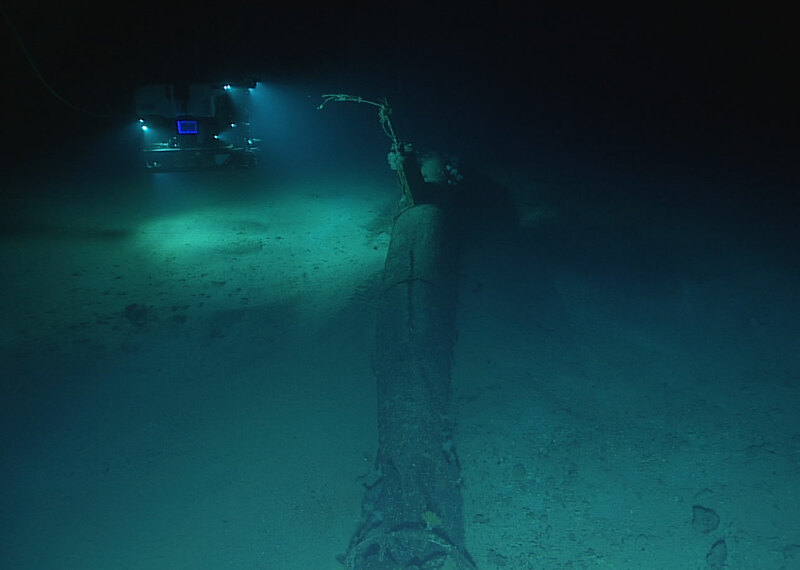 The research team will be using a remotely operated vehicle from NOAA Ship Okeanos Explorer to revisit the historic wreck site and document its condition. The dive will be live-streamed and the public is invited to participate. Additional photos and video will be available after the cruise. 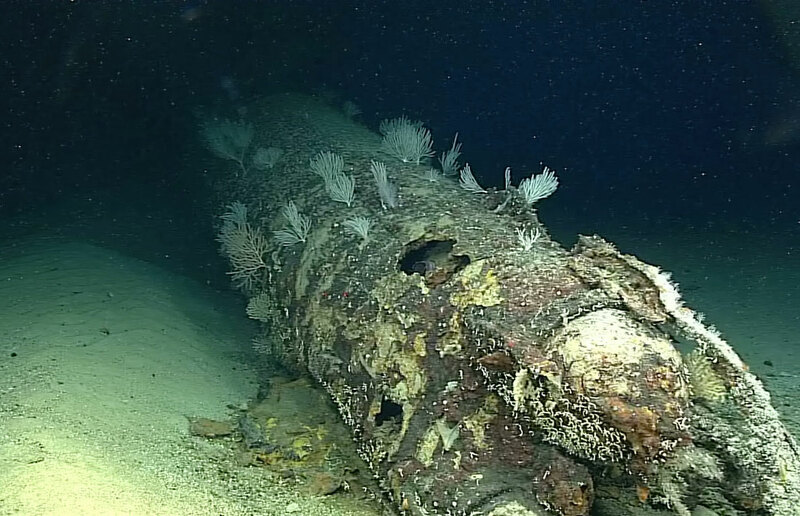 Video of December 7, 2016 live dive of a Japanese mini submarine. 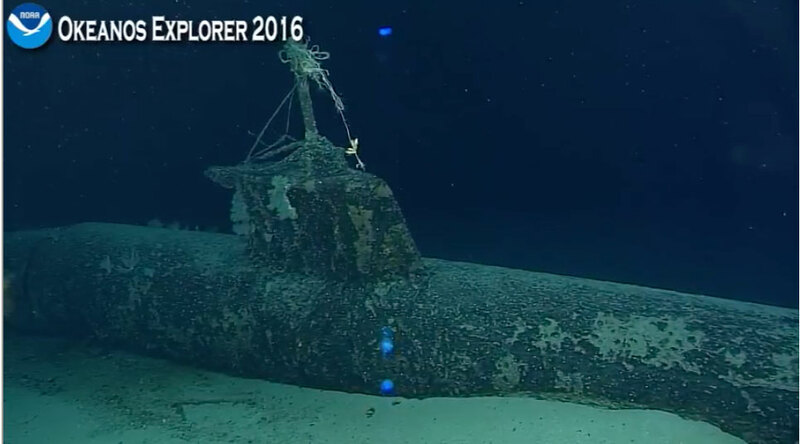 Video of Japanese mini submarine during live dive December 7, 2016. 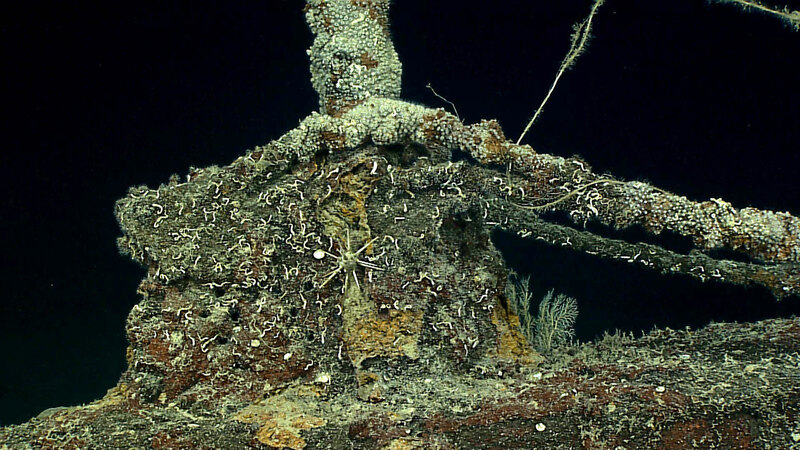 The conning tower of the Japanese mini submarine during live dive December 7, 2016. 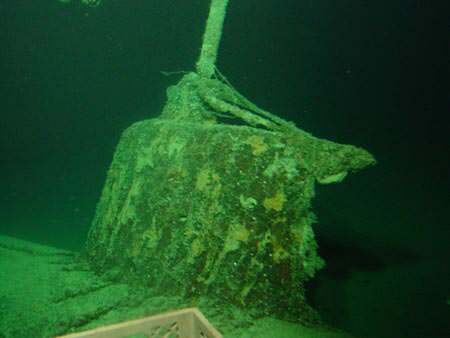 The stern of the Japanese mini submarine during live dive December 7, 2016. 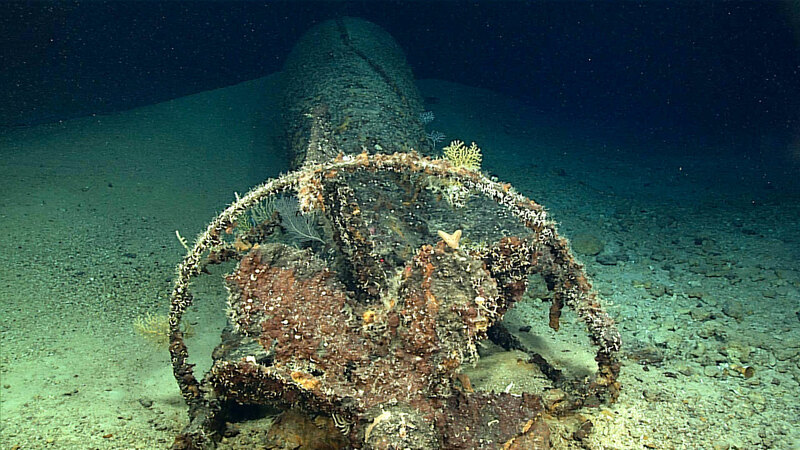 The wreck of the Japanese mini submarine during live dive December 7, 2016. 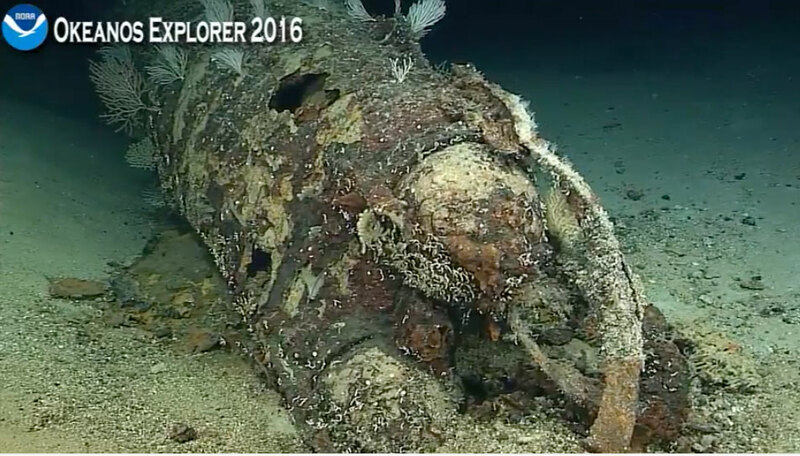 Japanese mini submarine during live dive December 7, 2016. 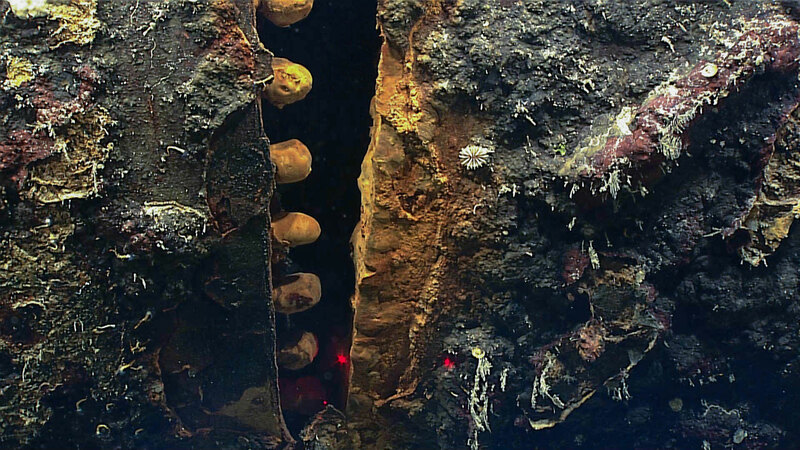 Japanese mini submarine and torpedoes during live dive December 7, 2016. 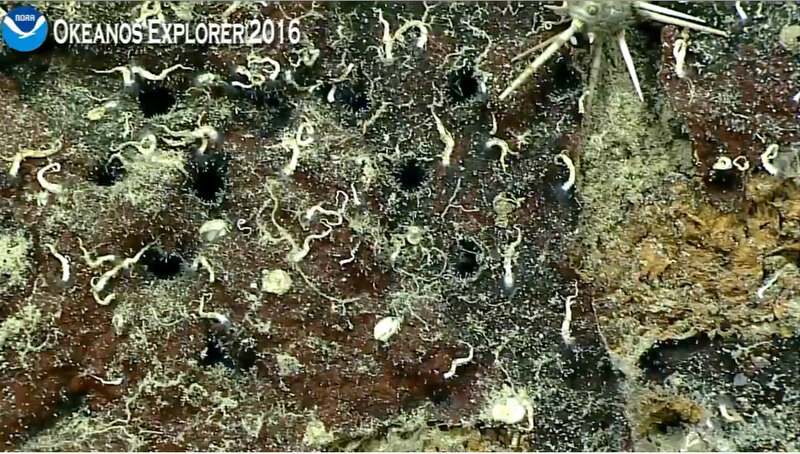 Holes in the Japanese mini submarine during live dive December 7, 2016. 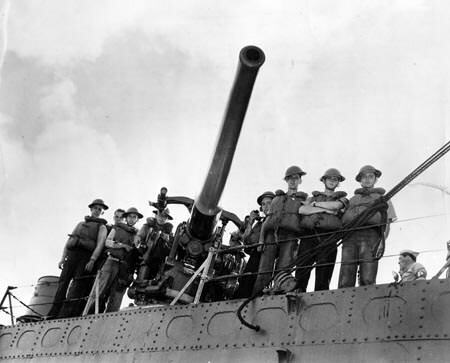 USS Ward's gun crew pose at their weapon after the destroyer sank a mini submarine outside of Pearl Harbor and "fired the first shot" of the war in the Pacific. 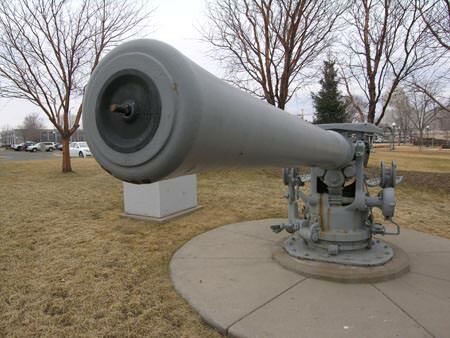 The USS Ward gun on the grounds of the Minnesota State Capitol, 2015. 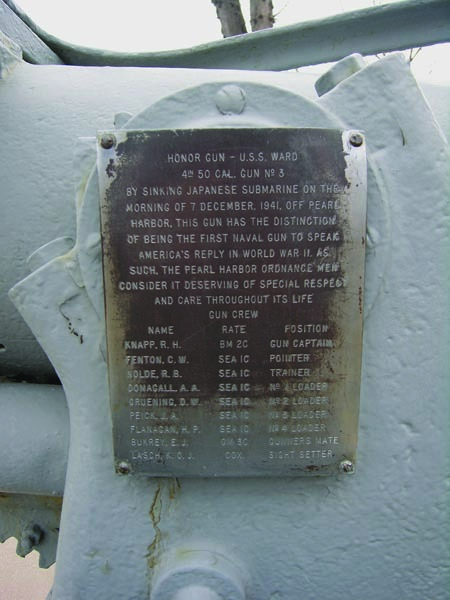 A plaque attached to the USS Ward gun lists the names of the gun crew and speaks to the gun's significance. 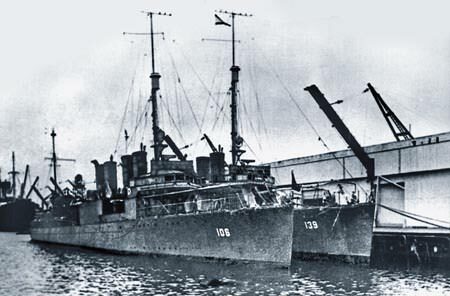 The destroyers USS Ward (DD-139) and USS Chew (DD-106) visit Hilo on July 22, 1941. This is the configuration and the paint scheme Ward carried on December 7. 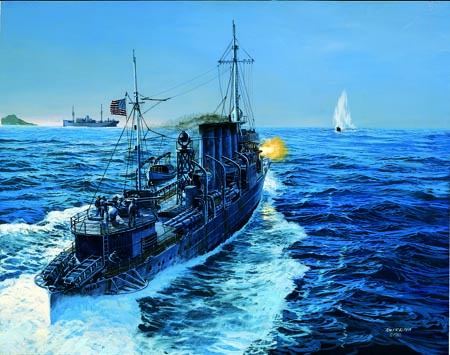 Tom Freeman's painting of USS Ward sinking a mini submarine. Ward mini submarine site plan. 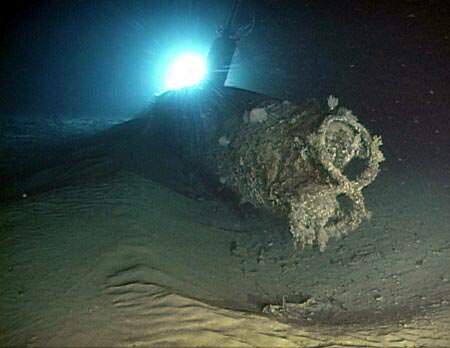 The bow of the Ward mini submarine at the time of the discovery in 2002. 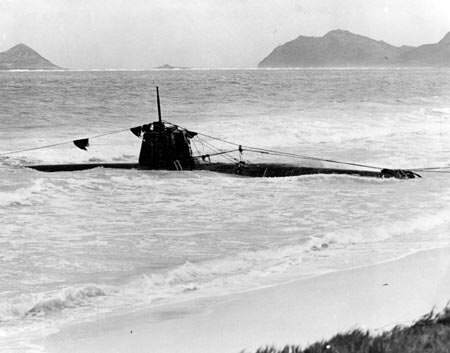 HA-19 ashore off Bellows Field on the morning of December 8, 1941. 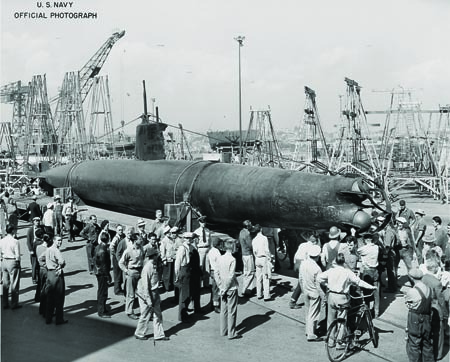 Mini submarine HA-19 (similar to the mini submarine sunk by the USS Ward), readied for its national war bond sales tour, is unveiled at Mare Island Naval Shipyard. 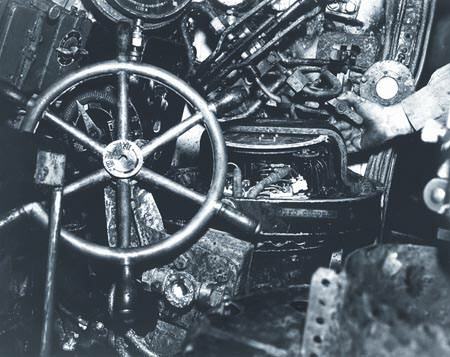 Dummy air tanks, a fake periscope, and caps simulating torpedo warheads were installed, along with two mannequins dressed to represent the crew. A set of narrow, Plexiglas windows were cut into each side of the sub, allowing visitors to see inside. 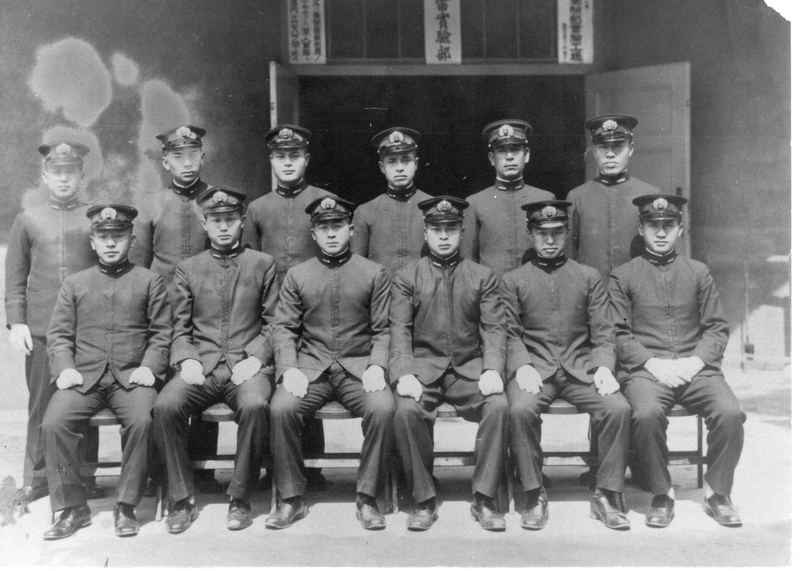 The first class of officers of the Kō-hyōteki corps pose on the deck of the Japanese ship Chiyoda prior to the Pearl Harbor attack.